+ + +: Dear TopShop, please create. 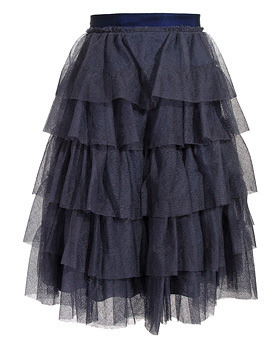 But this Navy blue tiered tulle skirt from Lanvin is amazing, gorgeous and every other adjective! If you have the money honey work it.